Categories: All, Mounting Block, Panel Installations [6.x...]. 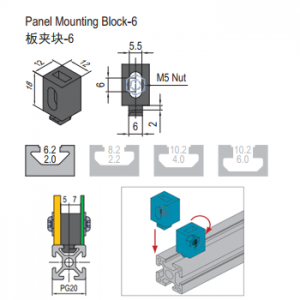 This product is a mounting block, which is a panel installation element. 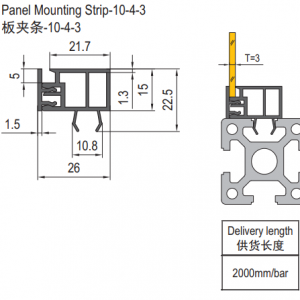 This is used for fixing a mesh to standard profiles – which have a better physical property. 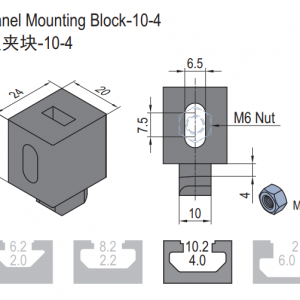 The block is clipped into the t slot of an aluminum profile and then properly fastened using a fastening element of your choice, such as a screw. Once connected, mesh can be strung through the hole in the middle of the block. 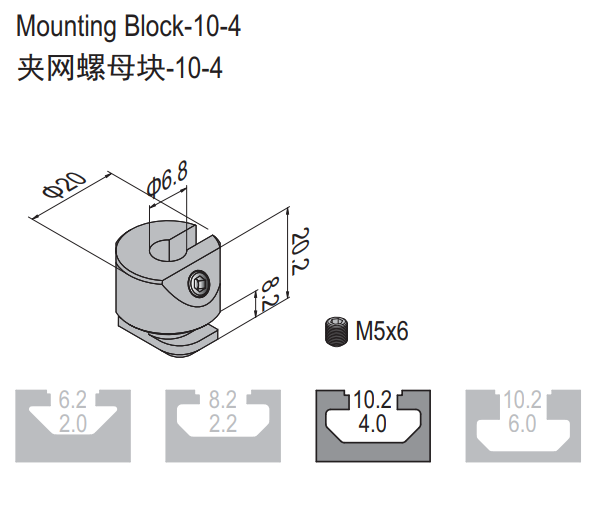 At this point, the block can be adjusted clip even more tightly around the mesh, fastening it in place. For use on PG40. Material and Color: Die-cast Zinc.